The three biggest wine fairs in the world are held in Europe: ProWein, Vinitaly and Vinexpo. We invite you on an insider’s tour. Once upon a time, there was a lovely wine exhibition called the London International Wine Fair, which was held in late May each year at the Olympia exhibition centre in Earls Court, West London. Though not located in the heart of the city, Earls Court was central enough for wine expert Steven Spurrier to go to the fair on his bicycle, for exhibitors and visitors to stay at the capital’s centrally located hotels and for everyone to frequent the numerous pubs on Hammersmith Road and dine at restaurants in Kensington. And for some of us, the exhibition’s proximity to Stamford Bridge, Chelsea’s home ground, was a further advantage, since on the occasion of the wine fair we also had the opportunity to watch our team play, even though they were pretty awful at the time. Then, in the early 2000s, carried away by the exhibition’s success and the high level of participation from countries of the New World – for which the UK market was the Trojan Horse for accessing all of Europe – its organisers took the decision (controversial from the outset) to move the LIWF to a new exhibition centre, the ExCeL, which had just been built to the east of the City in London’s Docklands. That is to say, in exile. “Out East,” Londoners say. There’s no doubt that ExCeL is a technologically advanced building (especially when compared to the outdated Olympia), but it has no soul, and wine needs soul. Nobody ever loved it and those who did go had to drag themselves there. The English, led astray by the myth that they themselves had created, according to which London was “the most important wine market in the world” and “if you make it here, you can make it anywhere”, saw (in their dreams) their exhibition growing to enormous stature with international scope and buyers flooding in from all over the world. There was even a brief period when the specialized press in England was actually contemplating a scenario in which “London Wine” would displace Vinexpo. But things turned out quite differently. Since 2001 the exhibition has declined to such an extent that in May this year, the 33rd time it has been held and with a 25% reduction in the space occupied by exhibitors relative to last year, a number of leading importers/distributors were absent, including Bibendum, Enotria and Liberty Wines, along with – more importantly – entire countries or regions, such as New Zealand, Australia, South Africa and California. (Just a few years ago, this would have been unthinkable, particularly in the case of the New World wineries). Of course, the relocation of the exhibition to ExCeL is not the only reason for this downturn. One of the most important is the way in which the British market has developed during the past 10 years, with supermarkets dominating it and demanding ever increasing discounts from wine makers around the globe, who have become sick of them. Moreover, successive British governments have upped the tax on alcohol and wine, burdening retail prices even more. But perhaps the most important reason for the decline of the London exhibition is the parallel, continual ascendancy of Germany’s ProWein, which is held in Dusseldorf every March. ProWein, which I shall focus on later, has sounded the death knell for many in Europe, as exhibitions in Belgium, Austria, Switzerland, Scandinavia and elsewhere just cannot compete. London is simply its latest victim. ProWein is proving to be a veritable black widow. So, recently, Brintex, the company that organizes LIWF, announced not only the return of the exhibition to Olympia in 2014 (“back to the roots”), but also its complete overhaul, from a change of name – which will no longer contain the word “international” – to the conversion of a large part of the exhibition into a platform for… bulk wine (how many exclamation marks should one add here?) and some rather odd references in the relevant press release to a “festival of wine”. It is not clear if the fair will continue to be solely for professionals or will (also) be for the general public. On their part, the Germans were latecomers to the sport of wine promotion, even though the country had always been Europe’s biggest wine market. The Mundus Vini competition (about which I have written here in the past) is just 10 years old but already one of the most important in the world. The same is true of the ProWein exhibition, which began modestly 20 years ago, initially as an event to promote French wines, to currently become the biggest rival to the ever dominant Vinexpo. The Germans, with the organization and thoroughness which distinguish them, have gradually built a colossal exhibition which, in terms of visitor numbers, is expected to soon surpass Vinexpo. The range of countries and wineries participating in the fair is truly staggering. Even so, ProWein is nothing exceptional, as an experience, compared for example to Vinexpo. But it is a purely commercial and particularly effective exhibition, which is why its status will continue to grow. Incidentally, one unexpected development has been the massive increase in the participation of German wine producers, something which reflects the significant improvement in the quality of their wines and the growing interest in them both at home and abroad. The Germans would very much like to wrest from Vinexpo the title of “the world’s biggest international wine exhibition”, but this won’t be easy (unless the French continue to shoot themselves in the foot). Vinexpo, held in Bordeaux each odd-numbered year, is indeed the biggest wine meet in the world, irrespective of what each exhibition might claim regarding numbers (in which I have little faith anyway). No other fair attracts such a broad spectrum of visitors, not only in terms of geographical dispersion but also diversity of professions. At the exhibitor level, France certainly prevails (but this is only natural given that it is the most intriguing wine country) but the international participations are numerous and always interesting. However, Vinexpo’s greatest – and to this day unsurpassed – advantage is its location, in the heart of Bordeaux’s vineyards. Whoever has not experienced Vinexpo at first hand cannot really appreciate just how many important activities take place on the sidelines of the exhibition, in the city and vineyards. 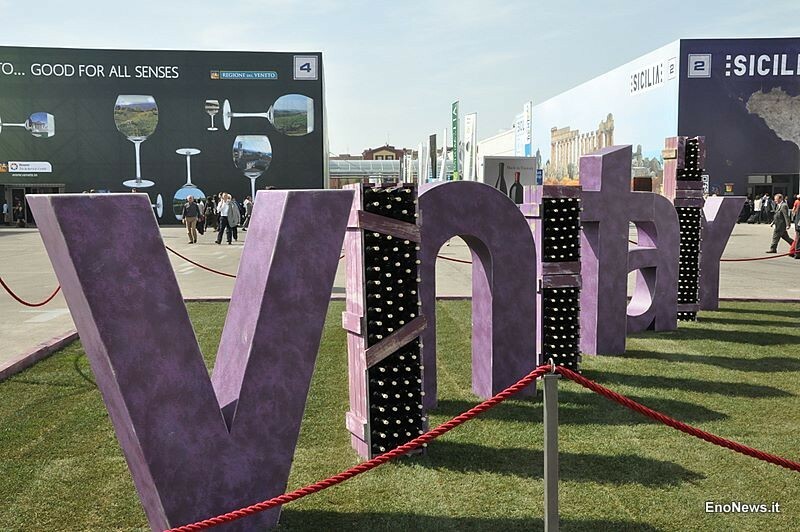 First of all, Vinexpo is now so big that other exhibitions, small and regional, are organised simultaneously both in the city and elsewhere to cash in on the enormous volume of visitors it generates. Much to the chagrin of the organizers who are pulling out all the stops to halt this trend! The best known case is perhaps Nicolas Joly’s anarchically organized tasting, which alone attracts thousands of visitors no matter where it is held. But the real game is played out in the region’s countless tower houses which, from noon until late in the evening, host amazing tastings and Lucullian banquets. There are also receptions, such as the one organized by the Groupement de Premiers Grands Crus Classés de Saint-Émilion, which are so staggeringly good, with food from three-star chefs and very old wines, they literally bring tears to the eyes. These are things that no other wine exhibition in the world can offer, no matter how hard they try, which is why – in my opinion – Vinexpo will continue to be unrivalled. Of course, the French may be their own worst enemy, particularly on account of their arrogance. The rudeness with which Vinexpo’s organisers treat exhibitors is legendary (it was the main reason for the breakdown in relations with official representatives of New World and other wineries). But their biggest mistake is that, carried away by the participation in the exhibition of “major commercial brands” (such as the most prominent houses of Champagne and producers of alcoholic beverages with their impressive stands) as well as key buyers from America and Asia (who they once flew in on Concorde), the organisers decided they needed neither the small producers nor the national pavilions (in which many small producers usually participate). Vinexpo, as envisaged by its controversial director Robert Beynat, should serve solely as a platform for pre-arranged meetings between “buyers” and “major wine companies” at which deals worth millions are struck, not a venue for taste exploration and discovery. It is no coincidence that the entire alternative wine scene (and I don’t just mean the so-called “natural” or organic wines but anything that doesn’t fit in the “corporate” category) is no longer a part of Vinexpo. And I cannot understand why they are now so angry, after all, it was they who shut the doors. Nevertheless, Vinitaly is a particularly impressive exhibition, which certainly succeeds in providing a clear picture of the depth and breadth of Italy’s vineyards, although it does suffer from the intrinsic organisational shortcomings of the Italians (they too are imbued with the spirit of Zorba). But its international scope is nowhere near as big as that of the other two and never will be. Some say its relocation to Milan would help, but this is not an option for political reasons. All three major European fairs have spawned “spin-off” exhibitions under the same name in Asia and elsewhere, but the main playing field is Europe. Wine professionals, no matter where they are from, love the idea of visiting Europe, for this is where the biggest, best and most important vineyards are located, where the story of wine began and continues to be written. Let’s face it, Europe is to wine what the Arabian Peninsula is to oil. And it is interesting to note the repeated failure of all attempts to organise a large-scale, European-type fair in the USA, where exhibition practices and customs are completely different. Rosé wine: like kissing your sister?